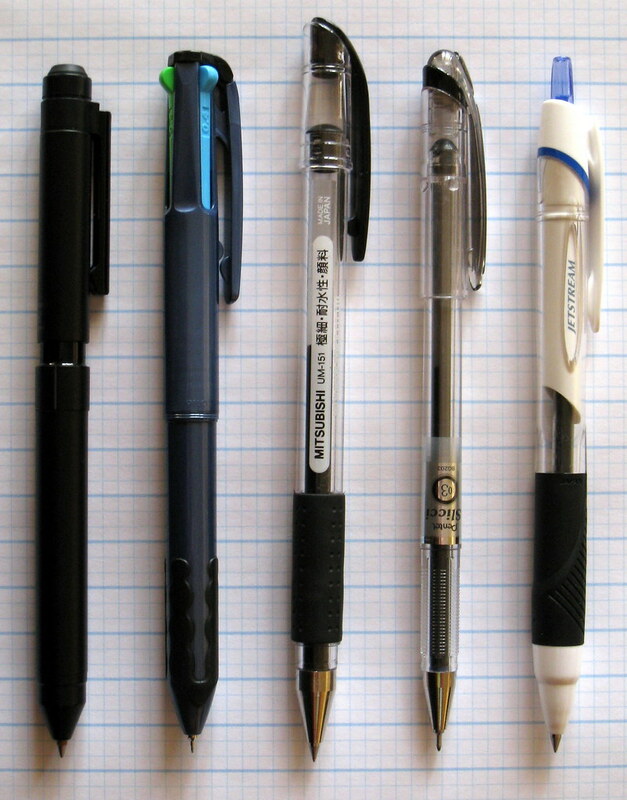 It is time to make a few updates to my Top 5 Pens list that I keep on the sidebar. The Zebra Sharbo X remains strong at the top, but an old standby - the Pilot Hi-Tec-C Coleto - has come charging back into the number two spot. I ordered two limited edition Coleto barrels off of eBay which renewed my interest in that pen, and I have been using them a ton recently. The Sharpie Pen RT, formerly at #5, no longer makes the cut. I have had a bunch of trouble with the tip of the pen drying out, which the original never did. I think I was a little too quick to rank that one, but I did just pick up the Sharpie Pen Grip, and it looks like an improvement. Taking the final spot is a pen that keeps growing on me, and I find myself reaching for all of the time - the Uni-Ball Jetstream Basic Series 0.5mm Blue. I love how fine and clean this pen writes, and is a great value for the price. Posted on January 11, 2010 by Brad Dowdy.